Top tips to avoid Cold & Flu season! 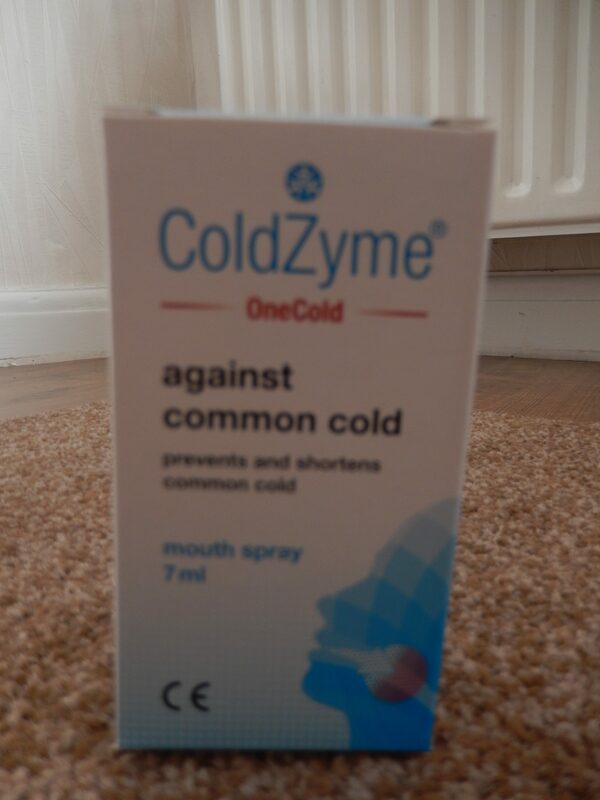 As cold and flu season approaches, protect yourself this winter with the ground-breaking ColdZyme® Mouth Spray. The product is unique in that it fights the cause of the common cold – the cold virus. ColdZyme® Mouth Spray is easy to use and begins working immediately by forming a protective barrier in the throat, where the cold virus takes hold and multiplies, protecting you from infection. ColdZyme® can help shorten the duration of illness if used prophylactically. Whilst other over the counter remedies seek to alleviate the symptoms of the cold, ColdZyme® targets the virus itself to shorten the duration of the illness. ColdZyme® Mouth Spray is used in the oral cavity and throat, and begins working immediately by forming a protective barrier on the mucous membrane. The barrier acts osmotically on the cold viruses, trapping them and preventing them from binding with human cells, helping the body to remove them naturally. The effect of ColdZyme® has been investigated in COLDPREV – a blinded, placebo-controlled study under advice from a UK expert in respiratory disease, Professor Sebastian Johnston from Imperial College, London. This study was conducted on 46 volunteers who were all infected with the most common virus that causes the common cold. Half of the volunteers received ColdZyme® the other half received a placebo product. The study showed that ColdZyme® reduced the virus load among infected by more than 99% compared with the placebo. Moreover, it was shown among those catching a cold, the duration of the symptoms was also reduced (from 6.5 days to 3 days). Leading media medic, Dr Dawn Harper, in conjunction with ColdZyme which fights the cause of the common cold, have compiled a few tips that I thought might be of interest for you? Wash your hands regularly – contrary to popular belief, most coughs and colds are spread by hand contact not by coughs and sneezes, so simply keeping your hands clean will go a long way to protecting yourself. Wash down surfaces and door handles – the viruses that cause colds can survive for several hours outside the human body. Eat a well-balanced diet rich in fruit and vegetables to keep your immune system in good shape. Vitamin C and zinc are vital for a healthy immune system. Zinc is found in red meat, beans and fortified cereals, whilst foods rich in vitamin C include fruits such as oranges and strawberries and vegetables such as peppers, kale and broccoli. Make sure you get into a good sleep routine. When we sleep our immune system repairs itself, so chronic sleep deprivation can make you prone to infections. Manage your stress levels. Try to prioritise and delegate where possible as stress can play havoc with your immune system. Consider using anti-viral tissues and keep them in your bag or on your desk if those around you have a cold to minimise the spread of the virus and make sure that tissues are put straight in the bin. Look out for this products in store that maybe useful for you, but always be sure to read the leaflets before use. ColdZyme® is suitable for use by adults and children from the ages of four and upwards. ColdZyme® can help shorten the duration of a cold, when used prophylactically. If you do not have any symptoms of a cold but are likely to be exposed to the cold virus, for example when someone near you has a cold, spray 2 puffs (1 dose) ColdZyme® into the throat every two hours up to 6 times a day while you are exposed to the cold virus. 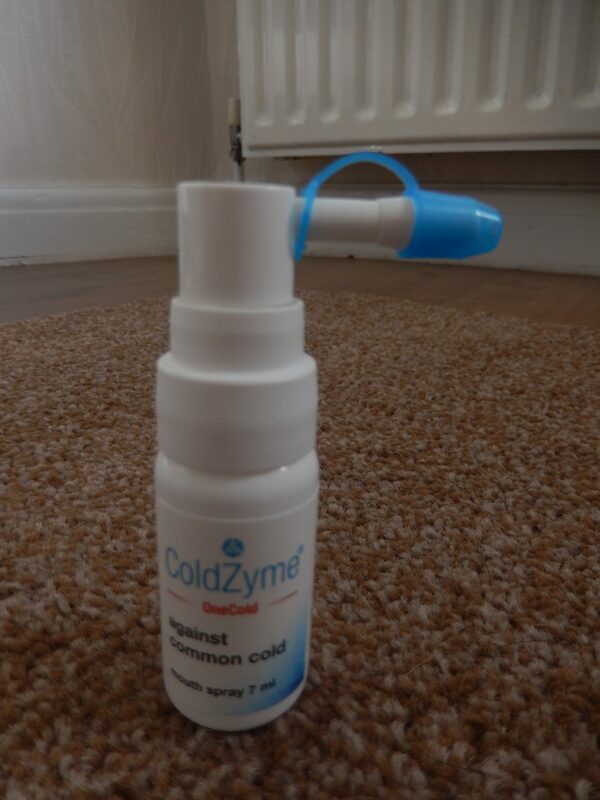 ColdZyme® is available from Boots, Lloyd’s Pharmacy and independent pharmacies nationwide, with an RRP of £15.99 for a 20ml bottle (effective treatment for three colds, or fifty five doses), and £9.99 for a 7ml bottle, for protection on the go. * I was sent this product free of charge for the purpose of the review, However all thoughts and opinions are my own.